One of the most important lessons to learn from last week's local elections is about expectation management. 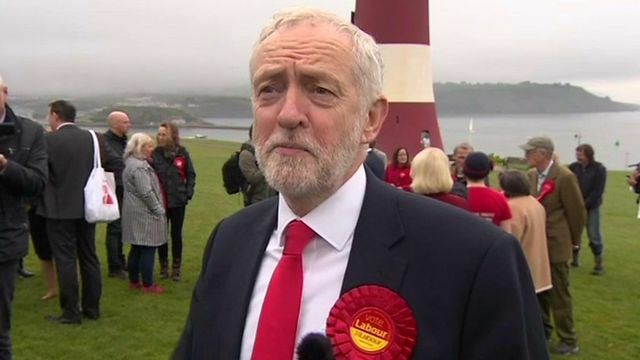 How Labour has been portrayed in the media has depended largely on what was expected of them in the weeks and months leading up to polling day. And it is clear that Labour has come off worse than any other party, despite the results being fairly disappointing for all involved (save for the Lib Dems). Jeremy Corbyn and Sadiq Khan, the frontmen of the party, launched Labour's local campaigns in the boroughs of Westminster, Wandsworth and Barnet. This formed the widely-publicised overall narrative of Labour challenging the Tory "crown jewels". Momentum, the left-wing Labour-backing organisation, followed suit and made promises that Labour would "unseat" the Tories up and down the country. Labour's over-reliance on opinion polling in London convinced them that they could make a clean sweep in the capital, and that they did not need to create a realistic counter-narrative to fall back on in case of sub-par election results. As a result, the end story in the media, especially in London, has become, "Labour fails to win X". Had the party developed that realistic counter-narrative and managed the expectations of their supporters and the press, the story could have been, "Labour within a hair's breadth of winning X". This is an important point outside of politics, too. If you let your narrative get away from you, you are setting yourself up for failure in the eyes of your critics. Prime Minister Theresa May visited Wandsworth on Friday morning - one of the Conservative's key London councils which the party held, despite losing eight seats. She said: "Labour thought they could take control, this was one of their top targets and they threw everything at it, but they failed." She said the party "won't take anything for granted" and would "build on this success for the future". Party chairman Brandon Lewis acknowledged some disappointments, but told BBC Breakfast that voters had chosen the Tories after seeing "good, clear and strong leadership" from the prime minister. Labour did pick up a seat in the Tory stronghold of Kensington and Chelsea Council, but the Conservatives retained control, despite criticism of their handling of the Grenfell Tower disaster. Tory leader of the council, Elizabeth Campbell, said they needed to "rebuild trust".